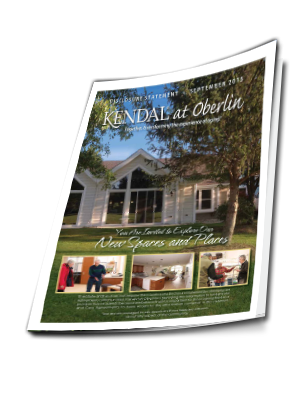 At Kendal at Oberlin, we believe that every resident and potential resident should have access to the facts and figures behind our vibrant living community. You need assurance that the community you choose is financially strong to meet your needs for the rest of your life. Download our 2015 Disclosure Statement for complete information about our community.